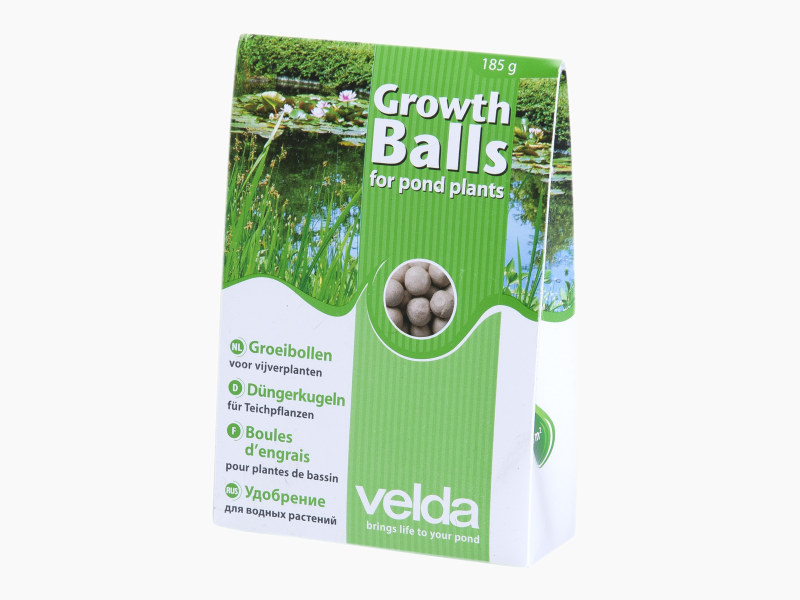 Velda growth balls are extremely suitable for local fertilisation of water lilies and marsh plants. Nutrients, tracer elements and minerals are passed on directly to the plant roots, which will result in a lush growth. 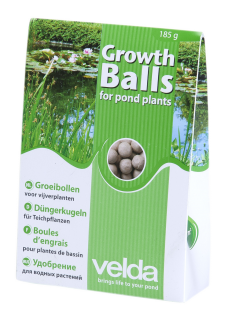 Press the growth balls in the soil near the plant roots. This packing is sufficient for 0,5 m2 of bottom or 2 plant baskets. 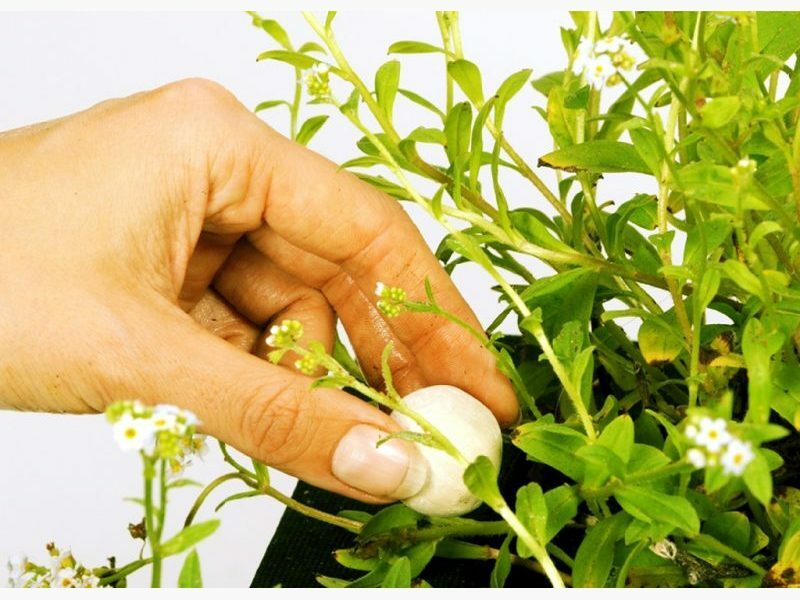 As the plant grows from March till August it should be fertilized every 6 to 8 weeks. Available in packaging of 50 pieces.